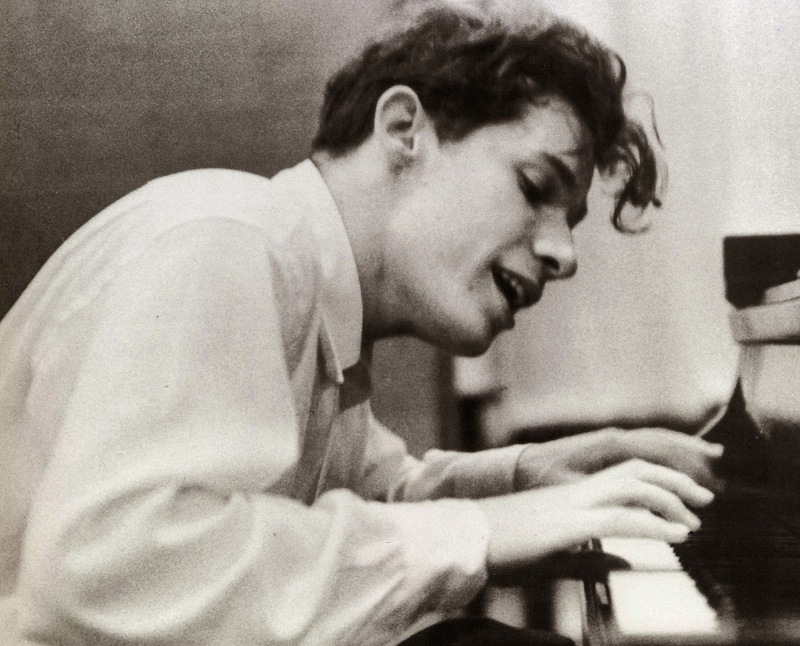 glenn gould: Mr. Gould, I gather that you have a reputation as a – well, forgive me for being blunt, sir – but as a tough nut to crack, interview-wise? 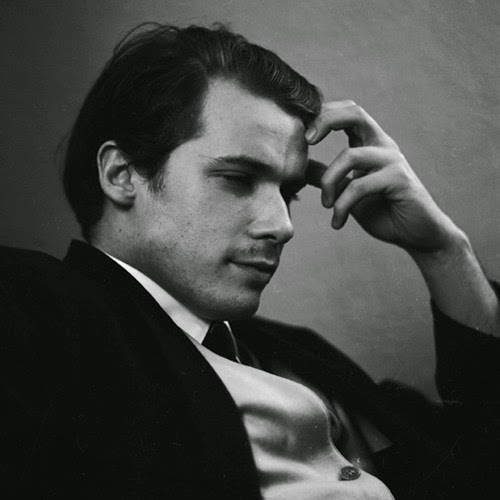 GLENN GOULD: Really. I've never heard that. g.g: Well, it's the sort of scuttlebutt that we media types pick up from source to source, but I just want to assure you that I'm quite prepared to strike from the record any question you may feel is out of line. G.G. : Oh, I can't conceive of any problems of that sort intruding upon our deliberations. g.g. : Well then, just to clear the air, sir, let me ask straight out: Are there any off-limit areas? G.G. : I certainly can't think of any – apart from music, of course. g.g. : Well, Mr. Gould, I don't want to go back on my word. I realize that your participation in this interview was never contractually confirmed, but it was sealed with a handshake. G.G. : Figuratively speaking, of course. g.g. : Of course, and I had rather assumed that we'd spend the bulk of this interview on musically related matters. G.G. : Well, do you think it's essential? I mean, my personal philosophy of interviewing – and I've done quite a bit of it on the air, as you perhaps know – is that the most illuminating disclosures derive from areas only indirectly related to the interviewee's line of work. G.G. : Well, for example, in the course of preparing radio documentaries, I've interviewed a theologian about technology, a surveyor about William James, an economist about pacifism and a housewife about acquisitiveness in the art market. g.g. : But surely you've also interviewed musicians about music? g.g. : Yes, I was just going to venture that comment. G.G. : Or to Leopold Stokowski about the prospect for interplanetary travel, which is – I think you'll agree, and Stanley Kubrick notwithstanding – a bit of a digression. g.g. : Well, this does pose a problem, Mr. Gould, but let me try to frame the question more affirmatively. Is there a subject you'd particularly like to discuss? G.G. : Well, I hadn't given it much thought, really – but, just off the top, what about the political situation in Labrador? g.g. : Well, I'm sure that could produce a stimulating dialogue, Mr. Gould, but I do feel that we have to keep in mind that HIGH FIDELITY is edited primarily for a U.S. constituency. G.G. : Oh, quite. Well, in that case, perhaps aboriginal rights in western Alaska would make good copy. g.g. : Yes. 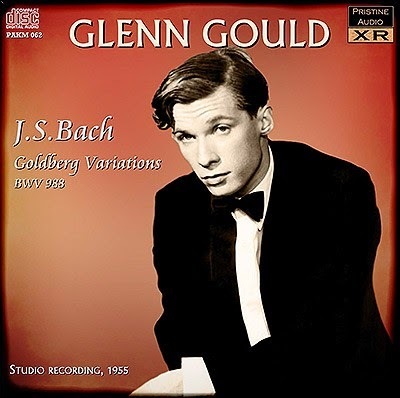 Well, I certainly don't want to bypass any headline-grabbing areas of that sort, Mr. Gould, but since HIGH FIDELITY is oriented toward a musically literate readership, we should, I think, at least begin our discussion in the area of the arts. G.G. : Oh, certainly. Perhaps we could examine the question of aboriginal rights as reflected in ethnomusicological field studies at Point Barrow. g.g. 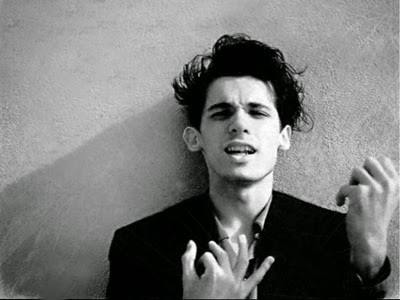 : Well, I must confess I had a rather more conventional line of attack, so to speak, in mind, Mr. Gould. As I'm sure you're aware, the virtually obligatory question in regard to your career is the concert-versus-media controversy, and I do feel we must at least touch upon it. G.G. : Oh, well, I have no objections to fielding a few questions in that area. As far as I'm concerned, it primarily involves moral rather than musical considerations in any case, so be my guest. g.g. : Well, that's very good of you. I'll try to make it brief, and then, perhaps, we can move further afield. g.g. : Well now, you've been quoted as saying that your involvement with recording – with media in general, indeed – represents an involvement with the future. G.G. : That's correct. I've even said so in the pages of this illustrious journal, as a matter of fact. g.g. : Quite so, and you've also said that, conversely, the concert hall, the recital stage, the opera house, or whatever, represent the past – an aspect of your own past in particular, perhaps, as well as, in more general terms, music's past. g.g. 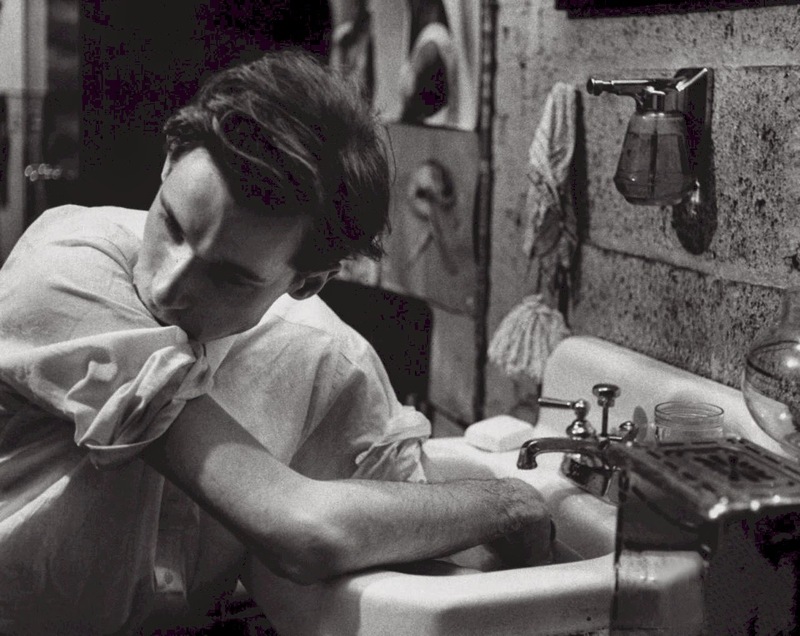 : Perhaps we could discuss your state of health at a more opportune moment, Mr. Gould, but it does occur to me – and I hope you'll forgive me for saying so – that there is something inherently self-serving about pronouncements of this kind. After all, you elected to abandon all public platforms some – what was it? – ten years ago? G.G. : Nine years and eleven months as of the date of this issue, actually. g.g. : And you will admit that most people who opt for radical career departures of any sort sustain themselves with the notion that, however reluctantly, the future is on their side? G.G. : It's encouraging to think so, of course, but I must take exception to your use of the term "radical." It's certainly true that I did take the plunge out of a conviction that given the state of the art, a total immersion in media represented a logical development – and I remain so convinced. But, quite frankly, however much one likes to formulate past-future equations, the prime sponsors of such convictions, the strongest motivations behind such "departures," to borrow your term, are usually related to no more radical notion than an attempt to resolve the discomfort and inconvenience of the present. g.g. : I'm not sure I've caught the drift of that, Mr. Gould. g.g. : Excuse me, Mr. Gould, I'm sure we will be apprised of your Salzburg misadventures in due course, but I must pursue this point a bit further. Am I to understand that your withdrawal from the concert stage, your subsequent involvement with media, was motivated by the musical equivalent of a – of a sore throat? G.G. : Do you find that objectionable? g.g. : Well, to be candid, I find it utterly narcissistic. And to my mind, it's also entirely at odds with your statement that moral objections played a major role in your decision. G.G. : I don't see the contradiction there – unless, of course, in your view discomfort per se ranks as a positive virtue. g.g. : My views are not the subject of this interview, Mr. Gould, but I'll answer your question, regardless. Discomfort per se is not the issue; I simply believe that an artist worthy of the name must be prepared to sacrifice personal comfort. g.g. : In the interests of preserving the great traditions of the musical – theatrical experience, of maintaining the noble tutorial and curatorial responsibilities of the artist in relation to his audience. G.G. : You don't feel that a sense of discomfort, of unease, could be the sagest of counsellors for both artist and audience? G.G. : – from a power-base? g.g. : – from a proscenium setting in which the naked fact of your humanity is on display, unedited and unadorned. G.G. : Couldn't I at least be allowed to display the tuxedoed fallacy, perhaps? g.g. : Mr. Gould, I don't feel we should allow this dialogue to degenerate into idle banter. It's obvious that you've never savoured the joys of a one-to-one relationship with a listener. G.G. : I always thought that, managerially speaking, a twenty-eight-hundred-to-one relationship was the concert-hall ideal. G.G. : Well then, I'll try to answer likewise. It seems to me that if we're going to get waylaid by the numbers game, I'll have to plump for a zero-to-one relationship as between audience and artist, and that's where the moral objection comes in. g.g. 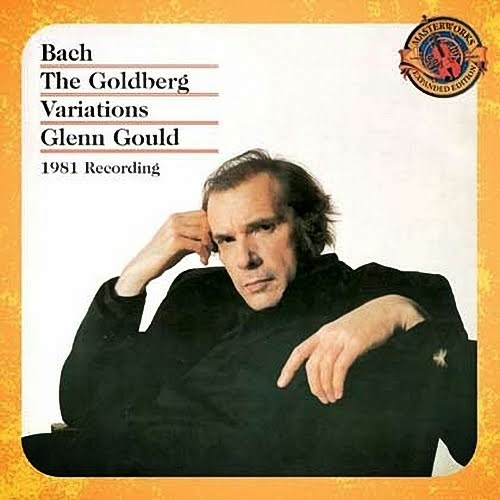 : I'm afraid I don't quite grasp that point, Mr. Gould. Do you want to run it through again? G.G. : I simply feel that the artist should be granted, both for his sake and for that of his public – and let me get on record right now the fact that I'm not at all happy with words like "public" and "artist"; I'm not happy with the hierarchical implications of that kind of terminology – that he should be granted anonymity. 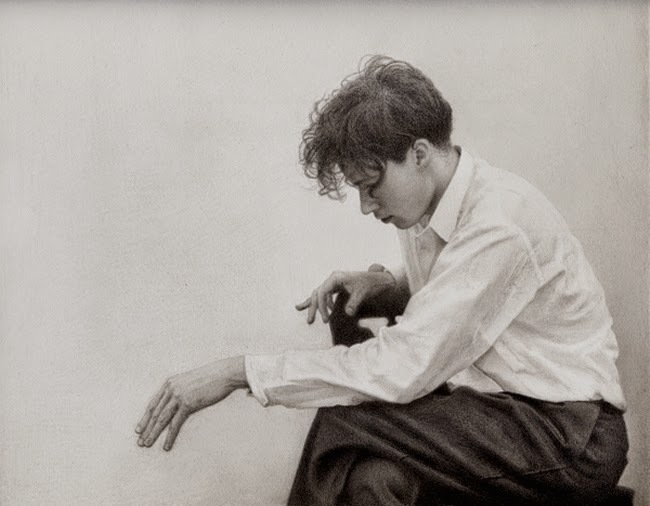 He should be permitted to operate in secret, as it were, unconcerned with – or, better still, unaware of – the presumed demands of the marketplace – which demands, given sufficient indifference on the part of a sufficient number of artists, will simply disappear. And given their disappearance, the artist will then abandon his false sense of "public" responsibility, and his "public" will relinquish its role of servile dependency. g.g. : And never the twain shall meet, I daresay! G.G. : No, they'll make contact, but on an altogether more meaningful level than that which relates any stage to its apron. g.g. 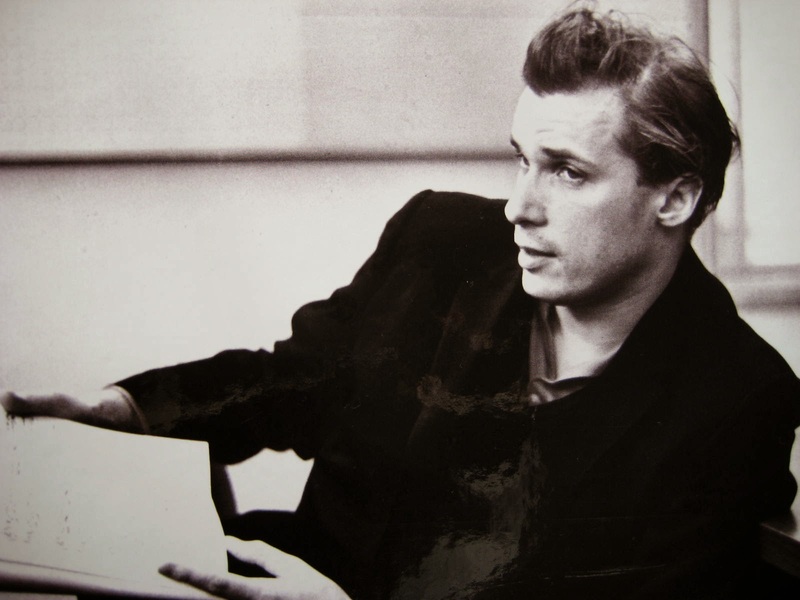 : Mr. Gould, I'm well aware that this sort of idealistic role swapping offers a satisfying rhetorical flourish, and it may even be that the "creative audience" concept to which you've devoted a lot of interview space elsewhere offers a kind of McLuhanesque fascination. But you conveniently forget that the artist, however hermetic his life-style, is still in effect an autocratic figure. He's still, however benevolently, a social dictator. And his public, however generously enfranchised by gadgetry, however richly endowed with electronic options, is still on the receiving end of the experience, as of this late date at least, and all of your neomedieval anonymity quest on behalf of the artist as zero, and all of your vertical panculturalism on behalf of his "public," isn't going to change that – or at least it hasn't done so thus far. G.G. : May I speak now? G.G. : – about the artist as superman? g.g. 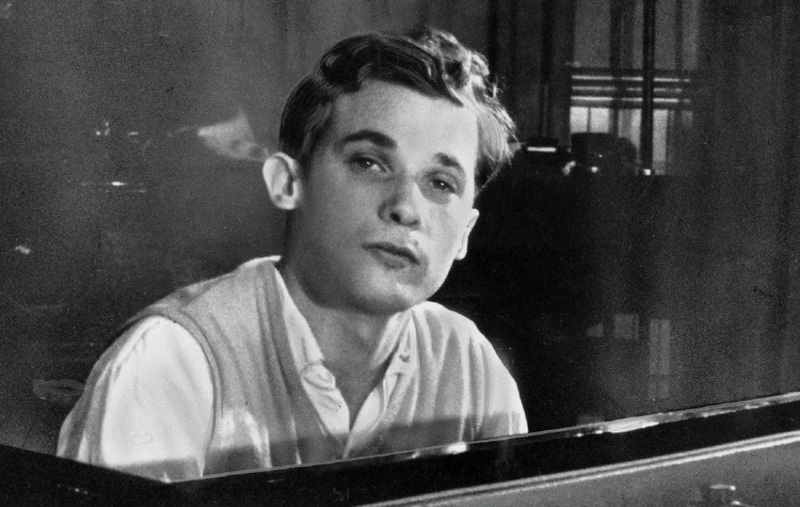 : That's not quite fair, Mr. Gould. G.G. : – or about the interlocutor as controller of conversations, perhaps? g.g. : There's certainly no need to be rude. I didn't really expect a conciliatory response from you – I realize that you've staked out certain philosophical claims in regard to these issues – but I did at least hope that just once you'd confess to a personal experience of the one-to-one, artist-to-listener relationship. I had hoped that you might confess to having personally been witness to the magnetic attraction of a great artist visibly at work before his public. G.G. : Oh, I have had that experience. G.G. : Certainly, and I don't mind confessing to it. Many years ago, I happened to be in Berlin while Herbert von Karajan led the Philharmonic in their first-ever performance of Sibelius's Fifth. 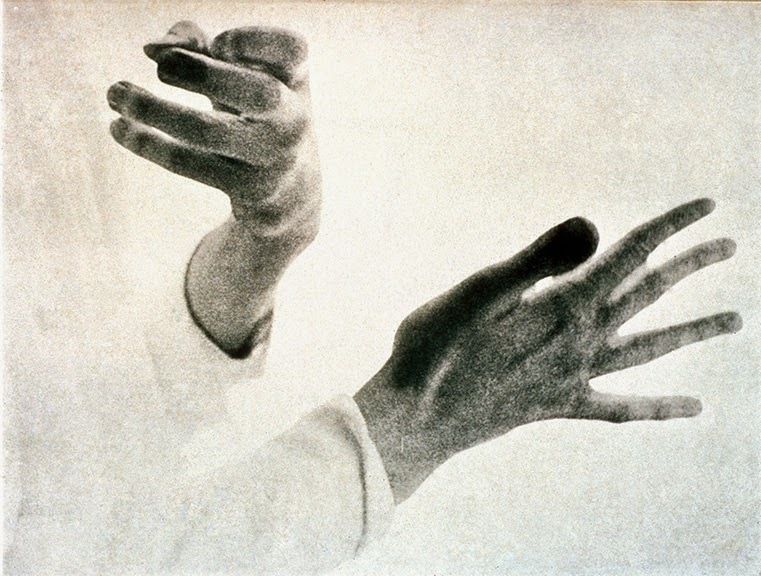 As you know, Karajan tends – in late romantic repertoire particularly – to conduct with eyes closed and to endow his stick wielding with enormously persuasive choreographic contours, and the effect, quite frankly, contributed to one of the truly indelible musical-dramatic experiences of my life. g.g. : You're supporting my contention very effectively indeed, Mr. Gould. I know, of course, that that performance, or at any rate one of its subsequent recorded incarnations, played a rather important role in your life. G.G. : You mean because of its utilization in the epilogue of my radio documentary "The Idea of North"? g.g. : Exactly, and you've just admitted that this "indelible" experience derived from a face-to-face confrontation, shared with an audience, and not simply from the disembodied predictability purveyed by even the best of phonograph records. G.G. : Well, I suppose you could say that, but I wasn't actually a member of the audience. As a matter of fact, I took refuge in a glassed-in broadcast booth over the stage, and although I was in a position to see Karajan's face and to relate every ecstatic grimace to the emerging musical experience, the audience – except for the occasional profile shot as he might cue left or right – was not. g.g. 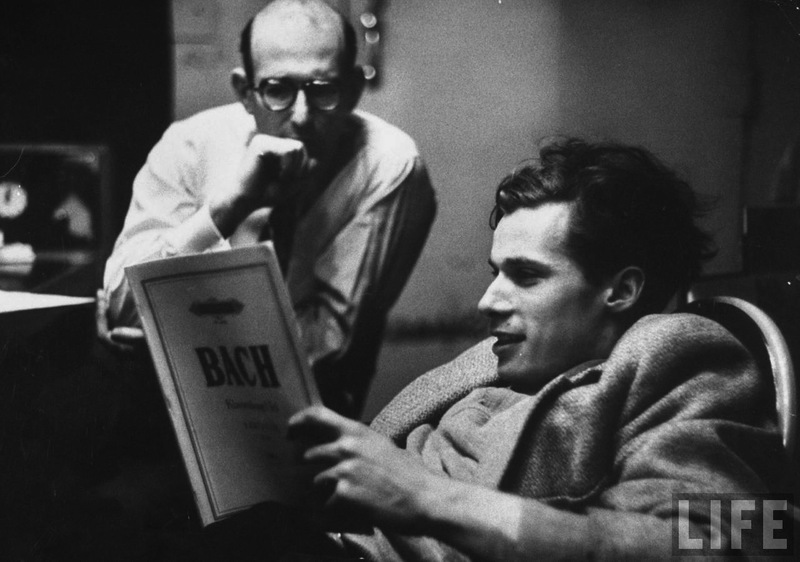 : I'm afraid you're splitting subdivided beats there, Mr. Gould. G.G. : I'm not so sure. You see, the broadcast booth, in effect, represented a state of isolation, not only for me vis-à-vis my fellow auditors but vis-à-vis the Berlin Philharmonic and its conductor as well. g.g. : And now you're simply clutching at symbolic straws. G.G. : Maybe so but I must point out – entre nous, of course – that when it came time to incorporate Karajan's Sibelius Fifth into "The Idea of North," I revised the dynamics of the recording to suit the mood of the text it accompanied, and that liberty, surely, is the product of – what shall I call it? – the enthusiastic irreverence of a zero-to-one relationship, wouldn't you say? g.g. : – and permitted two, three, or four individuals to speak at once on occasion. G.G. : We did some equalizing, too. G.G. : – of my needs of the moment. g.g. : – which, however, were at least unique to the project at hand. G.G. : All right, I'll give you that, but every listener has a "project at hand", simply in terms of making his experience of music relate to his life-style. g.g. : And you're prepared to have similar unauthorized permutations practiced on your own recorded output by listener or listeners unknown? G.G. : I should have failed in my purpose otherwise. g.g. : Then you're obviously reconciled to the fact that no real aesthetic yardstick relates your performances as originally conceived to the manner in which they will be subsequently audited? g.g. 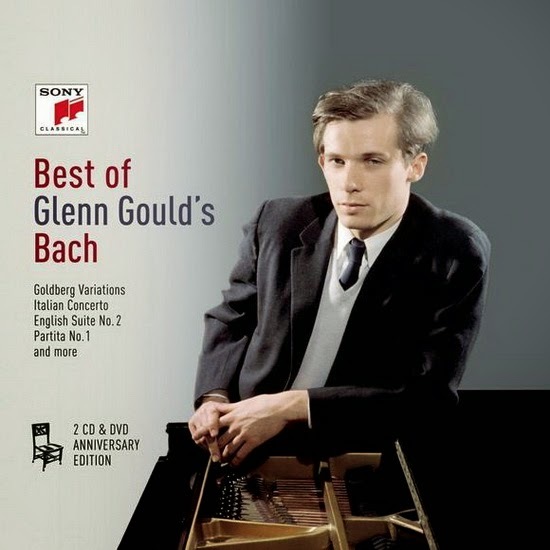 : Mr. Gould, are you saying that you do not make aesthetic judgments? G.G. : No, I'm not saying that – though I wish I were able to make that statement, because it would attest to a degree of spiritual perfection that I have not attained. However, to rephrase the fashionable cliché, I do try as best I can to make only moral judgments and not aesthetic ones – except, as I said, in the case of my own work. G.G. : That's very good of you. g.g. : – and to assume that you are assessing your own motivations responsibly and accurately. G.G. : One can only try. g.g. : and given that, what you have just confessed adds so many forks to the route of this interview, I simply don't know which trail to pursue. G.G. : Why not pick the most likely signpost, and I'll just tag along. g.g. : Well, I suppose the obvious question is: If you don't make aesthetic judgments on behalf of others, what about those who make aesthetic judgments in regard to your own work? G.G. : Oh, some of my best friends are critics, although l'm not sure I'd want my piano to be played by one. g.g. : But some minutes ago, you related the term "spiritual perfection" to a state in which aesthetic judgment is suspended. G.G. : I didn't mean to give the impression that such a suspension would constitute the only criterion for such a state. g.g. : I understand that. But would it be fair to say that in your view the critical mentality would necessarily lead to an imperiled state of grace? g.g. : – are critics, I know, but you're evading the question. g.g. 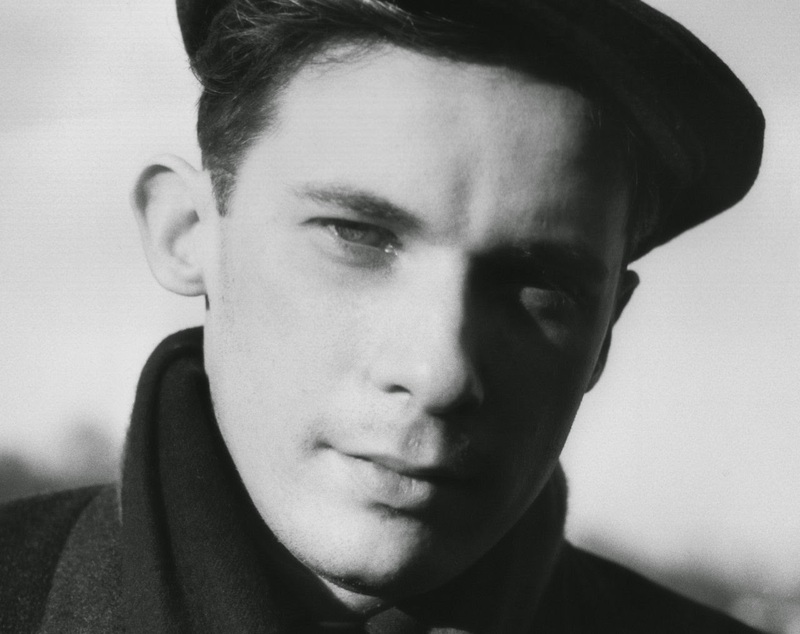 : Mr. Gould, I think you owe us both, as well as our readers, an answer to that question. g.g. : That's my conviction; perhaps I should repeat the question. G.G. : No, it's not necessary. g.g. : So you do feel, in effect, that the critic represents a morally endangered species? g.g. 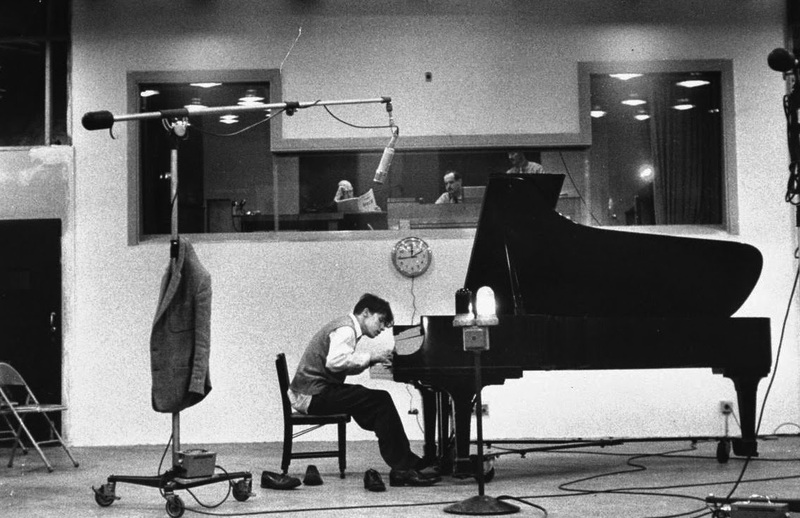 : – please, Mr. Gould, answer the question – you do feel that, don't you? g.g. : You do, don't you? g.g. : Of course you do, and now I'm sure you also feel the better for confession. G.G. : Hmm, not at the moment. g.g. : But you will in due course. G.G. : You really think so? G.G. : – and which contained more aesthetic judgment per square page than I would presume to render nowadays. But it was essentially a moral critique, you know. It was a piece in which I used Miss Clark, so to speak, in order to comment on a social milieu. g.g. : So you feel that you can successfully distinguish between an aesthetic critique of the individual – which you reject out of hand – and a setting down of moral imperatives for society as a whole. G.G. : I think I can. Mind you, there are obviously areas in which overlaps are inevitable. Let's say, for example, that I had been privileged to reside in a town in which all the houses were painted battleship grey. G.G. : It's my favourite colour. g.g. : It's a rather negative colour, isn't it? g.g. : – thereby challenging the symmetry of the town planning. G.G. : Yes, it would probably do that too, but you're approaching the question from an aesthetic point of view. The real consequence of his action would be to foreshadow an outbreak of manic activity in the town and almost inevitably – since other houses would be painted in similarly garish hues – to encourage a climate of competition and, as a corollary, of violence. g.g. : I gather, then, that red in your colour lexicon represents aggressive behaviour. G.G. : I should have thought there'd be general agreement on that. But as I said, there would be an aesthetic/moral overlap at this point. The man who painted the first house may have done so purely from an aesthetic preference, and it would, to use an old-fashioned word, be "sinful" if I were to take him to account in respect of his taste. Such an accounting would conceivably inhibit all subsequent judgments on his part. But if I were able to persuade him that his particular aesthetic indulgence represented a moral danger to the community as a whole, and providing I could muster a vocabulary appropriate to the task – which would not be, obviously, a vocabulary of aesthetic standards – then that would, I think, be my responsibility. g.g. : You do realize, of course, that you're beginning to talk like a character out of Orwell? G.G. : Oh, the Orwellian world holds no particular terrors for me. g.g. : And you also realize that you're defining and defending a type of censorship that contradicts the whole post-Renaissance tradition of Western thought? G.G. : Certainly. It's the post-renaissance tradition that has brought the Western world to the brink of destruction. You know, this odd attachment to freedom of movement, freedom of speech, and so on is a peculiarly Occidental phenomenon. It's all part of the Occidental notion that one can successfully separate word and deed. g.g. : The sticks-and-stones syndrome, you mean? G.G. : Precisely. There's some evidence for the fact that – well, as a matter of fact, McLuhan talks about just that in the Gutenberg Galaxy – that preliterate peoples or minimally literate peoples are much less willing to permit that distinction. g.g. : I suppose there's also the biblical injunction that to will evil is to accomplish evil. G.G. : Exactly. It's only cultures that, by accident or good management, bypassed the Renaissance which see art for the menace it really is. g.g. : May I assume the U.S.S.R. would qualify? G.G. : Absolutely. The Soviets are a bit rough-hewn as to method, I'll admit, but their concerns are absolutely justified. g.g. : What about your own concerns? Have any of your activities violated these personal strictures and, in your terms, "menaced" society? g.g. : Want to talk about it? g.g. : Not even a quick for-instance? What about the fact that you supplied music for Slaughterhouse Five? g.g. : Well, at least by Soviet standards, the film of Mr. Vonnegut's opus would probably qualify as a socially destructive piece of work, wouldn't you say? G.G. : I'm afraid you're right. I even remember a young lady in Leningrad telling me once that Dostoyevsky, "though a very great writer, was unfortunately pessimistic." g.g. : And pessimism combined with a hedonistic cop-out, was the hallmark of Slaughterhouse, was it not? G.G. : Yes, but it was the hedonistic properties rather than the pessimistic ones that gave me a lot of sleepless nights. g.g. : So you didn't approve of the film? G.G. : I admired its craftsmanship extravagantly. g.g. : That's not the same as liking it. g.g. : Can we assume, then, that even an idealist has his price? G.G. : I'd much prefer it said that even an idealist can misread the intentions of a shooting script. g.g. : You would have preferred an uncompromised Billy Pilgrim, I assume? G.G. : I would have preferred some redemptive element added to his persona, yes. g.g. : So you wouldn't vouch for the art-as-technique-pure-and-simple theories of Stravinsky, for instance? G.G. : Certainly not. That's quite literally the last thing art is. g.g. : Then what about the art-as-violence-surrogate theory? G.G. : I don't believe in surrogates; they're simply the playthings of minds resistant to the perfectibility of man. Besides, if you're looking for violence surrogates, genetic engineering is a better bet. g.g. : How about the art-as-transcendental-experience theory? G.G. : Of the three you've cited, that's the only one that attracts. g.g. : Do you have a theory of your own, then? G.G. : Yes, but you're not going to like it. G.G. : – because, you know, the present position, or positions, of art – some of which you've enumerated – are not without analogy to the ban-the-bomb movement of hallowed memory. g.g. : You surely don't reject protest of that kind? G.G. : No, but since I haven't noticed a single ban-the-child-who-pulls-wings-from-dragonflies movement, I can't join it, either. You see, the Western world is consumed with notions of qualification; the threat of nuclear extinction fulfils those notions, and the loss of a dragonfly's wing does not. And until the two phenomena are recognized as one, indivisible, until physical and verbal aggression are seen as simply a flip of the competitive coin, until every aesthetic decision can be equated with a moral correlative, I'll continue to listen to the Berlin Philharmonic from behind a glass partition. g.g. : So you don't expect to see your death wish for art fulfilled in your lifetime. G.G. : No, I couldn't live without the Sibelius Fifth. g.g. : But you are nevertheless talking like a sixteenth-century reformer. g.g. : That's an aesthetic judgement if ever I heard one! G.G. : A thousand pardons – let me try a second take on that. On a previous occasion, I remarked that I, rather than Mr. Santayana's hero, am "the last puritan." g.g. : And you don't find any problem in reconciling the individual conscience aspect of the Reformation and the collective censorship of the puritan tradition? Both motifs, it would seem to me, are curiously intermingled in your thesis and, from what I know of it, in your documentary work as well. G.G. : Well, no, I don't think there's an inevitable inconsistency there, because at its best – which is to say at its purest – that tradition involved perpetual schismatic division. The best and purest – or at any rate the most ostracized – of individuals ended up in Alpine valleys as symbols of their rejection of the world of the plains. As a matter of fact, there is to this day a Mennonite sect in Switzerland that equates separation from the world with altitude. g.g. : Would it be fair to suggest that you, on the other hand, equate it with latitude? After all, you did create The Idea of North as a metaphoric comment and not as a factual documentary. G.G. : That's quite true. Of course, most of the documentaries have dealt with isolated situations – Arctic outposts, Newfoundland outposts, Mennonite enclaves, and so on. g.g. : Yes, but they've dealt with a community in isolation. G.G. : That's because my magnum opus is still several drawing boards away. g.g. : So they are autobiographical drafts? G.G. : That, sir, is not for me to say. g.g. 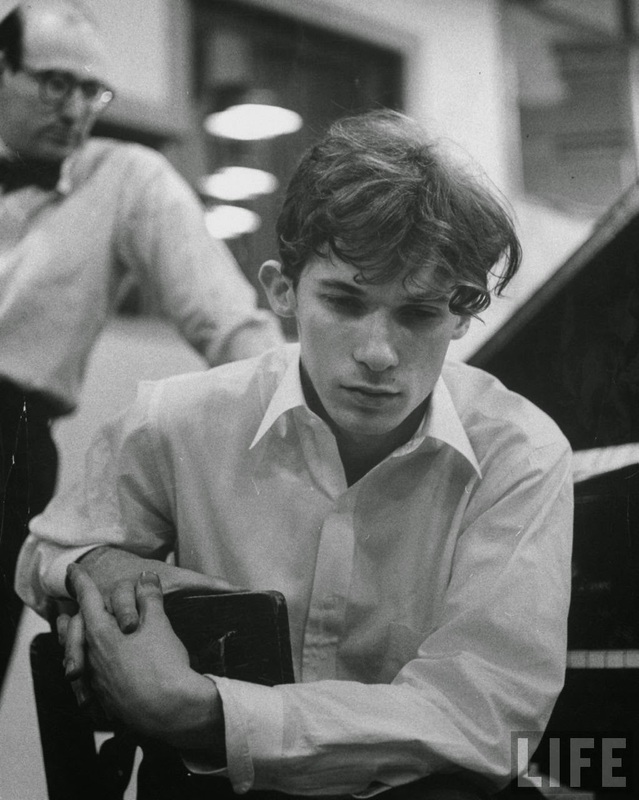 : Mr. Gould, there's a sort of grim, I might even say gray, consistency to what you've said, but it does seem to me that we have come a rather long way from the concert-versus-record theme with which we began. G.G. : On the contrary, I think we've performed a set of variations on that theme and that, indeed, we've virtually come full circle. g.g. : In any event, I have only a few more questions to put to you, of which, I guess, the most pertinent would now be: Apart from being a frustrated member of the board of censors, is any other career of interest to you? G.G. : I've often thought that I'd like to try my hand at being a prisoner. g.g. : You regard that as a career? G.G. : Oh, certainly – on the understanding, of course, that I would be entirely innocent of all charges brought against me. g.g. 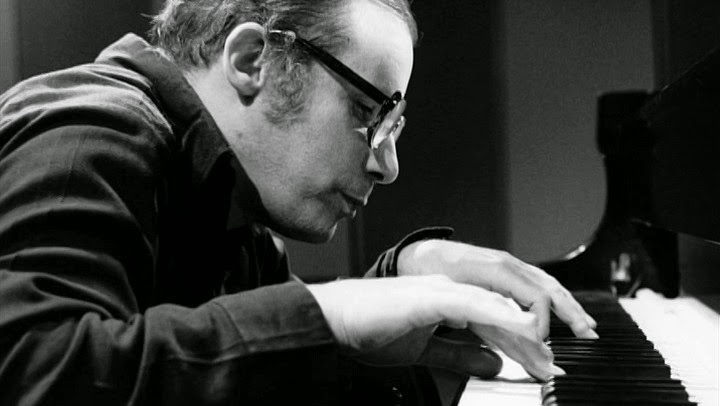 : Mr. Gould, has anyone suggested that you could be suffering from a Myshkin complex? G.G. : No, and I can't accept the compliment. It's simply that, as I indicated, I've never understood the preoccupation with freedom as it's reckoned in the Western world. So far as I can see, freedom of movement usually has to do only with mobility, and freedom of speech most frequently with socially sanctioned verbal aggression, and to be incarcerated would be the perfect test of one's inner mobility and of the strength which would enable one to opt creatively out of the human situation. g.g. 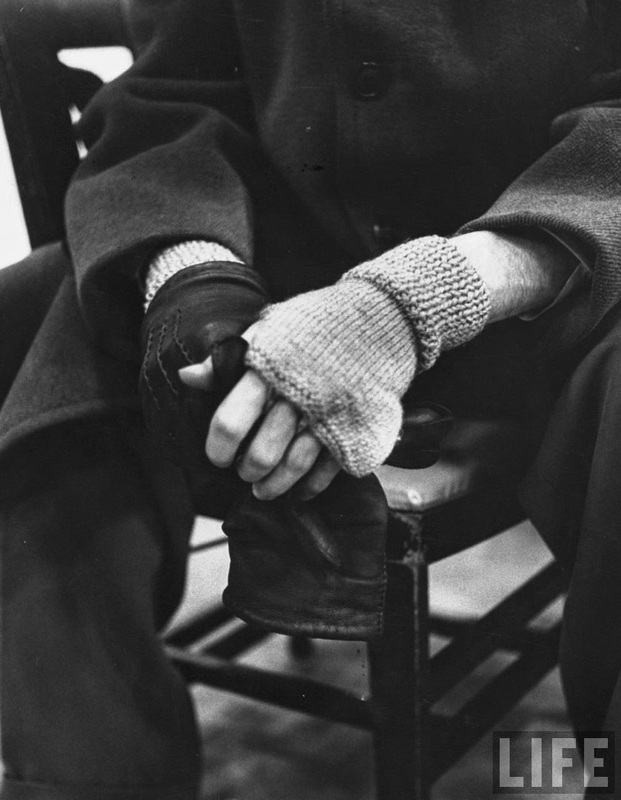 : Mr. Gould, weary as I am, that feels like a contradiction in terms. G.G. : I don't really think it is. I also think that there's a younger generation than ours – you are about my age, are you not? g.g. : I should assume so. G.G. : - a younger generation that doesn't have to struggle with that concept, to whom the competitive fact is not an inevitable component of life, and who do program their lives without making allowances for it. g.g. : Are you trying to sell me on the neotribalism kick? G.G. : Not really, no. I suspect that competitive tribes got us into this mess in the first place, but, as I said, I don't deserve the Myshkin-complex title. g.g. 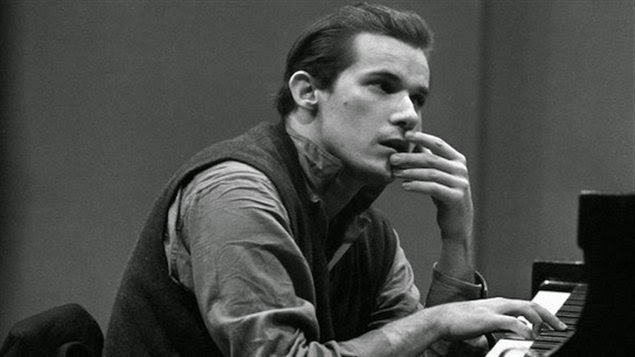 : Well, your modesty is legendary, of course, Mr. Gould, but what brings you to that conclusion? G.G. : The fact that I would inevitably impose demands upon my keepers – demands that a genuinely free spirit could afford to overlook. G.G. : The cell would have to be prepared in a battleship-grey decor. g.g. : I shouldn't think that would pose a problem. G.G. : Well, I've heard that the new look in penal reform involves primary colours. G.G. : Oh, I didn't meant to leave the impression of a traumatic experience. On the contrary, my tracheitis was of such severity that I was able to cancel a month of concerts, withdraw into the Alps, and lead the most idyllic and isolated existence. g.g. : I see. Well now, may I make a suggestion? g.g. : As you know, the old Festspielhaus was originally a riding academy. G.G. : Oh, quite; I'd forgotten. g.g. : And of course, the rear of the building is set against a mountainside. G.G. : Yes, that's quite true. G.G. : Ah, but I've criticized them primarily as evidence of a hedonistic life. g.g. : Be that as it may. 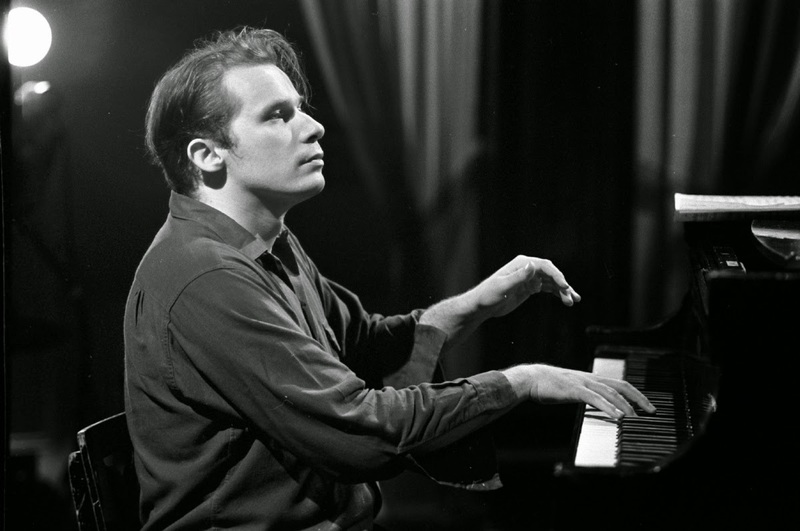 The Festspielhaus, Mr. Gould, is a place to which a man like yourself, a man in search of martyrdom, should return. G.G. : Martyrdom? What ever gave you that impression? I couldn't possibly go back! g.g. : Please, Mr. Gould, try to understand. There could be no more meaningful manner in which to scourge the flesh, in which to proclaim the ascendance of the spirit, and certainly no more meaningful metaphoric mise en scène against which to offset your own hermetic life-style, through which to define your quest for martyrdom autobiographically, as I'm sure you will try to do, eventually. G.G. : But you must believe me – I have no such quest in mind! g.g. 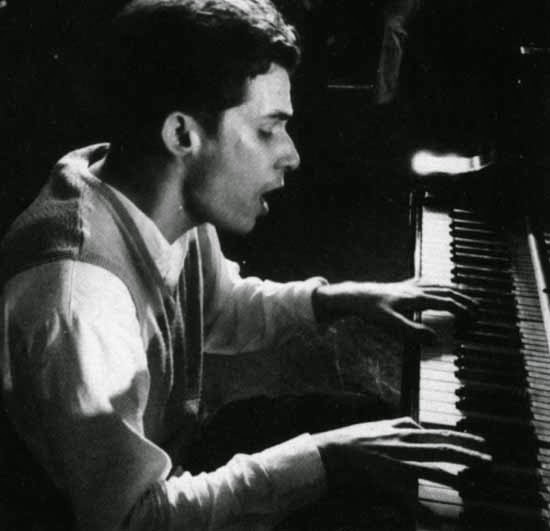 : Yes, I think you must go back, Mr. Gould. You must once again tread the boards of the Festspielhaus; you must willingly, even gleefully, subject yourself to the gales which rage upon that stage. For then and only then will you achieve the martyr's end you so obviously desire. G.G. : Please don't misunderstand; I'm touched by your concern. It's just that, in the immortal words of Mr. Vonnegut's Billy Pilgrim, "I'm not ready yet." g.g. 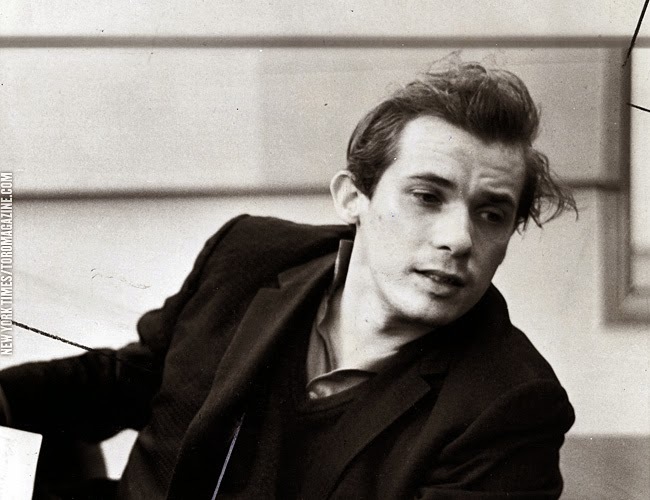 : In that case, Mr. Gould, in the immortal words of Mr. Vonnegut himself, "So it goes." From High Fidelity, February 1974. 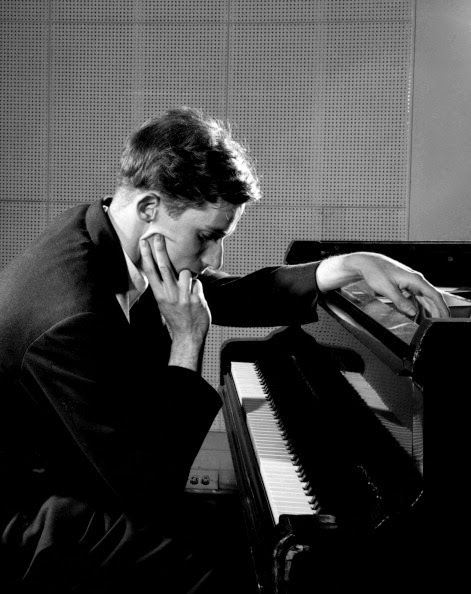 Gould, Glenn. 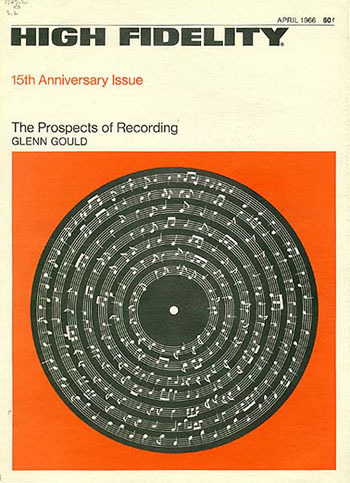 "The Prospects of Recording". High Fidelity. Vol. 16, no. 4 (April 1966) P. 46-63. [Great Barrington, Mass. : Audiocom, 1959-c1989. -- 31 v. : ill. ; 28 cm. --Vol. 16, no. 4, (April 1966). -- ISSN 0018-1455. -- P. 46-63. © High Fidelity. 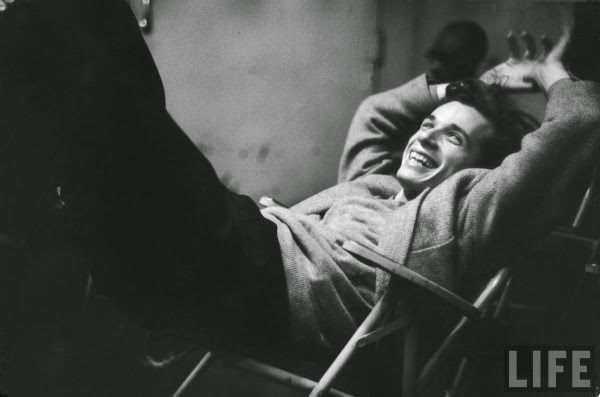 Reproduced with the permission of Hachette Filipacchi Magazines, Inc., the Estate of Glenn Gould and Glenn Gould Limited.